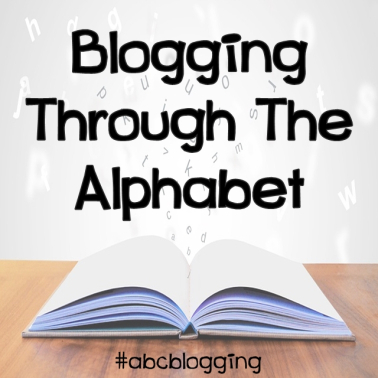 Blogging through the Alphabet. Ah it’s been a good 26 week run hasn’t it? I hope you’ve enjoyed it as much as Amanda and I have! 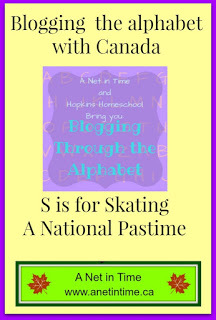 This week we celebrate the letter Z.
G: The Greats of Canada. I: Igloos and Inukshuks Work. J: J starts with Jump Canada. X: Excellent Time to Celebrate Canada’s Birthday. 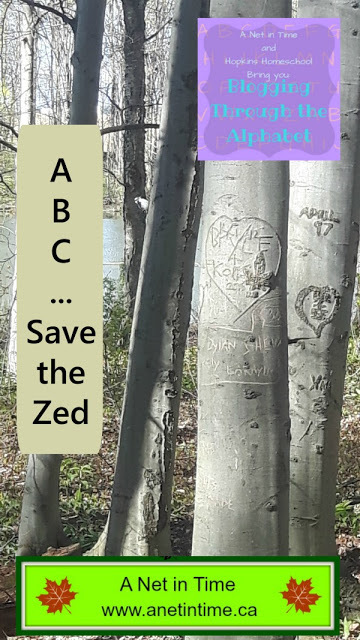 In Canada, we pronounce the letter Z as Zed. Zed is how the British do it, so we do too. Dating way back to the 15th century! Much of our spelling is done the British way to, eh? Long may our ZED survive!!!!! Hello! 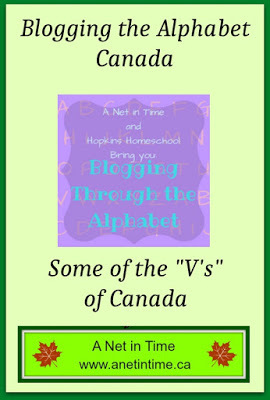 Welcome to the second last week of Blogging through the alphabet! Can you believe it? Wow… it’s been a whirl wind hasn’t it? 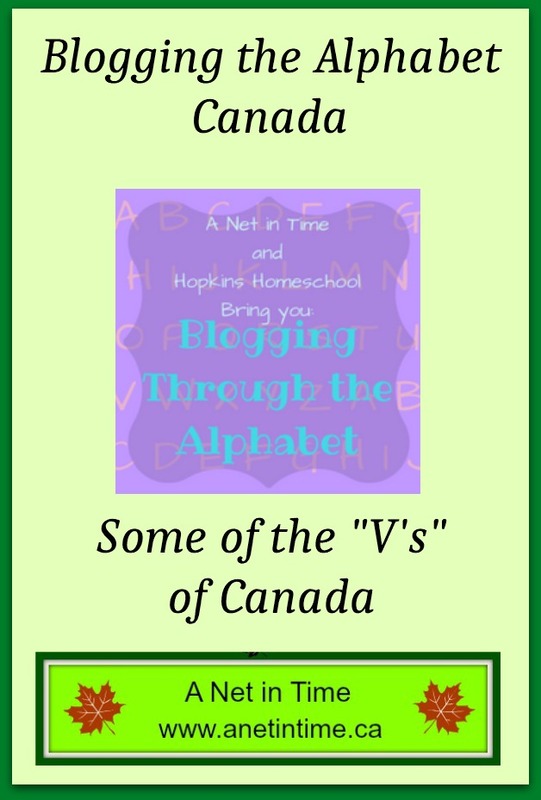 This week Amanda and I bring you the letter Y! Since I have been bringing you all things Canadian during this alphabetic tour, this week I’m going to talk with you about the Yukon! Think Jack London, Call of the Wild, Snow, tundra, permafrost, Inuit, snow, sun, frontiersmen, cold winters, sled dogs and the northern lights. The Yukon is located up north. It is host to Canada’s largest mountain, Mount Logan. AND the smallest desert in the world (yes, under all that snow is a desert) called Carcross. It is located right next door to Alaska (the USA) and the Northwest Territories. The population of the Yukon is 33, 897 with 2/3’s of that living in Whitehorse. 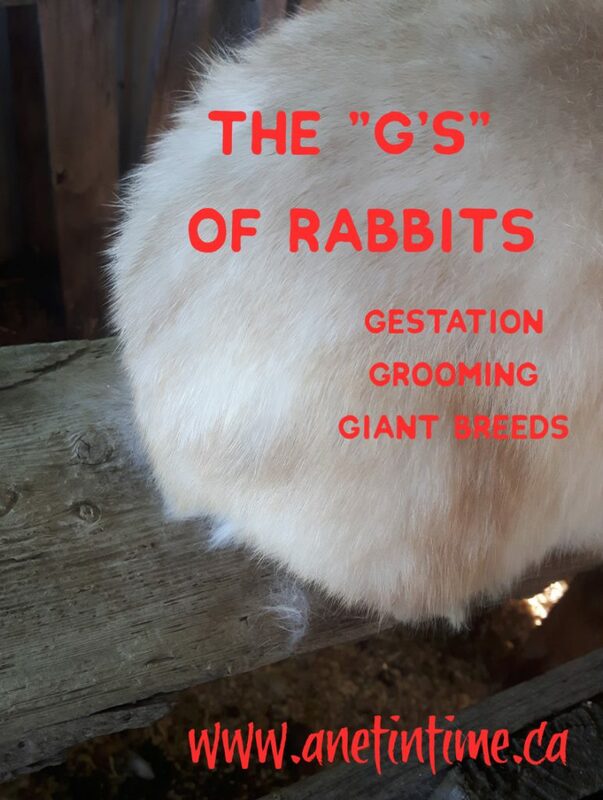 Sparsely populated, with year round snow (even if in summer it falls sparsely), interesting animals (polar bears, moose, artic fox, stone sheep etc. ), hunting, fishing, a large film and tourist industry, forestry and more. 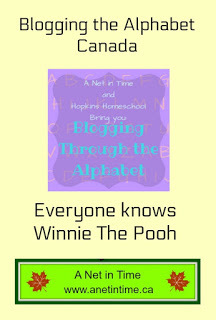 Thank you for joining Amanda and I as we blog through the alphabet. This week, X! On July 1st this year Canada will be celebrating her 150th birthday. To that end oh my, things are getting busy. Stores is promoting their 150th birthday sales. Communities are prettying themselves up.. for instance our town put up a lovely begonia bed made up in the shape of the Canada flag. Towns are putting together bigger than normal Canada day events. I have to admit, it’s rather fun watching folks prepare. Even funnier… on our family vacation (celebrating my mom’s 80th) my sisters (who don’t celebrate Canada Day) were busy talking about how they should have a party for all their friends this year. 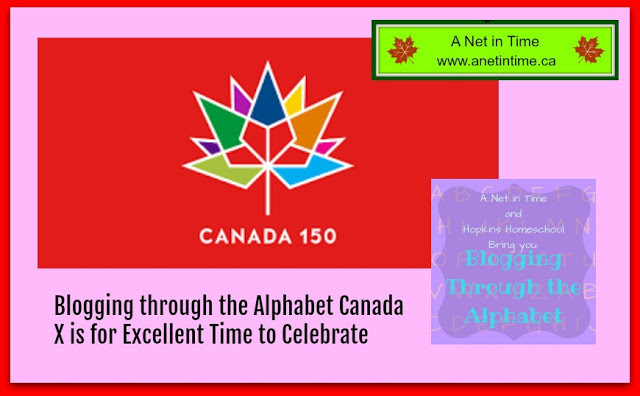 After all, Canada’s turning 150 this year! As to what we’ll do? I haven’t a clue! I’m not really planning a party (I’ll let my younger sister plan that). I expect we’ll take in the town events, probably go out to the local provincial park and have a bbq supper, swim and walk (if the weather is nice that is). If you want to find out what’s going on across Canada, you can check out this site. your region and across the country! 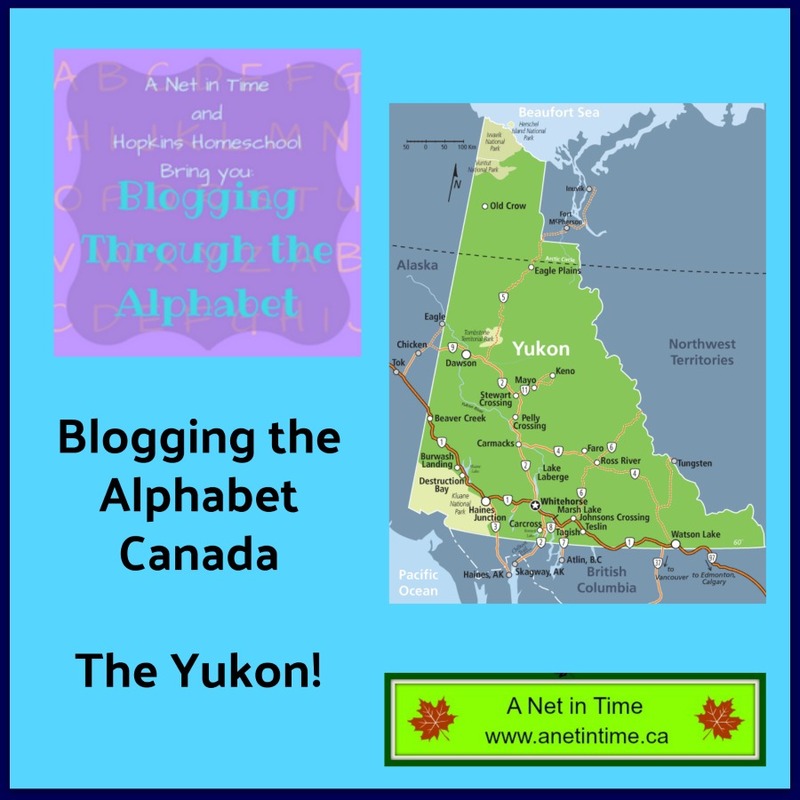 Thank you so much for joining Amanda and I today for week W of blogging through the alphabet, we are so delighted to have you here! 🙂 Can you believe that we’re this far into the alphabet already? 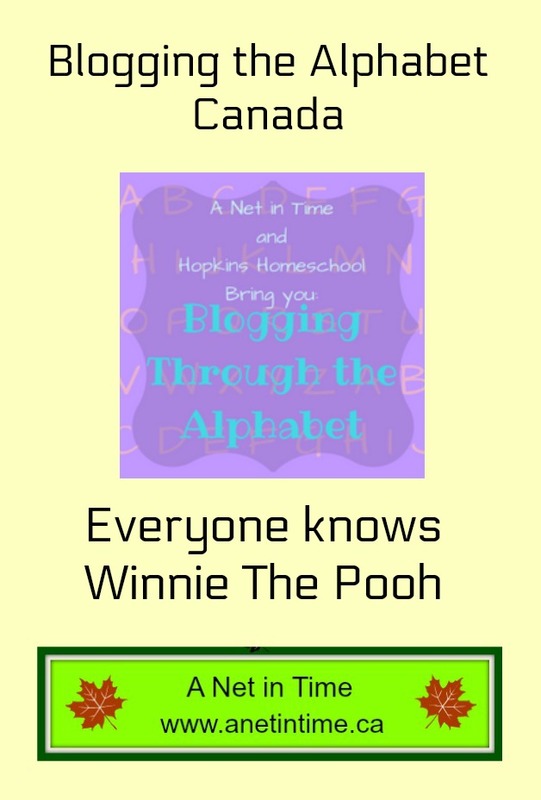 Did you know that Winnie the pooh was named after a bear called Winnie? 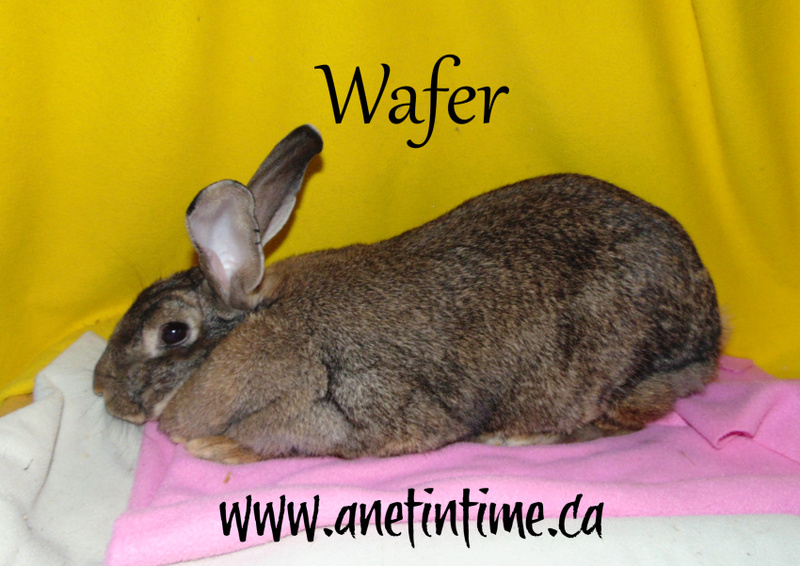 A Canadian soldier bough her in Ontario. An orphaned bear cub living in a trappers cabin. He spent $20 on her and brought her along with him to England. She became the mascot of his unit, to the point of sleeping under his bed. When he was deployed to the front lines he worried that Winnie (named after the city of Winnipeg) would not do well so he gave her to the London Zoo. Turns the big 1 5 0! Which of course got me to thinking about the origins of Canada. It’s good to do that once in a while you know? Thinking of the rivalries between the French and English, the First nation peoples, the Metis and the settlers. How we finally managed to come together as a country, despite all our differences and without a major civil war. Really big battles yes, major civil war no. Which got me to thinking about Queen Victoria. 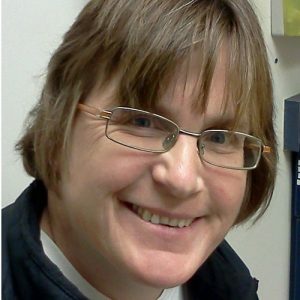 She was the queen when Canada became a country. She was known as a strong advocate for Canada as a confederacy. 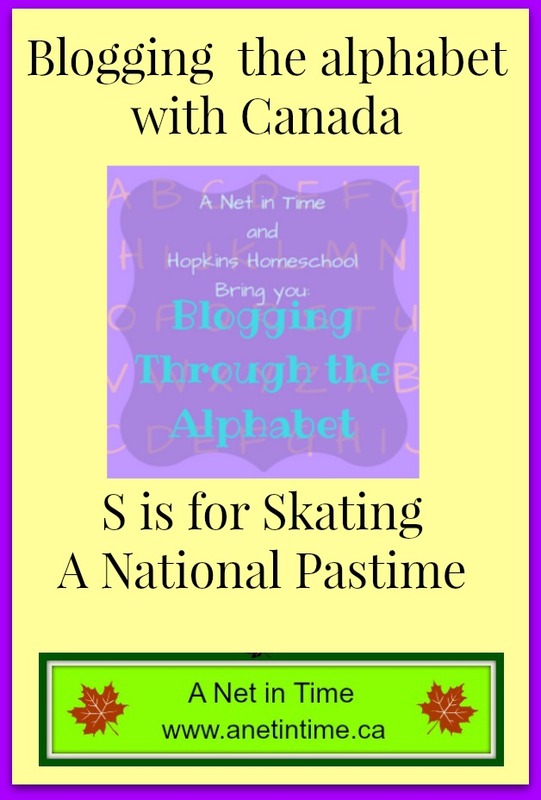 She never visited Canada, but her name is spread far and wide across our beloved land. You could learn more about Queen Victoria here. Which of course led to be think about Victoria, which is is the capital city of British Columbia and is located on Vancouver Island. One day I would like to travel all the way out west with my lad, I’ve been out there to visit my sister but that was more to visit her and less to sight see. 🙂 It would be neat to visit Butchart Gardens and other tourist traps of Victoria, BC. Queen Victoria to Victoria to Vancouver to a small Vireo. Skating. It’s a part of life when you live in Canada. When you have snow and cold and frozen water.. why not enjoy it eh? 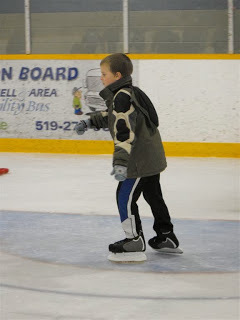 We’re aren’t big into ice fishing, and I grew up skating on the family pond, so teaching our lad to skate seems a natural thing to do. We started off using a skating aid. I cannot tell you how much we liked this aid. So many of the other ones we saw were these big bulky things that would never have fit in our car without be completely disassembled. This one folded down flat and we could take it ANYWHERE. 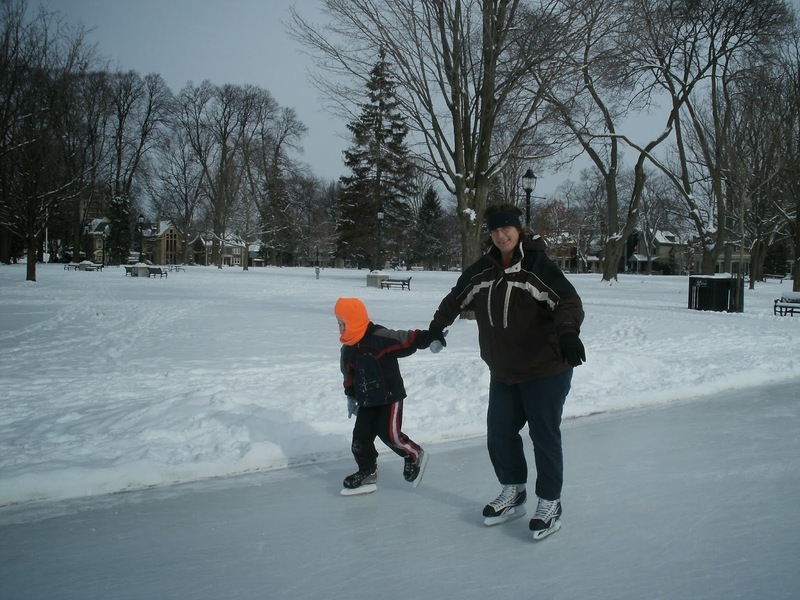 The local park to skate on the small pad, the pond to skate on the hard frozen ice, the bigger city to skate on outdoor rink and also to local town arenas to join in the mom/tot/senior skate times. It was GREAT. 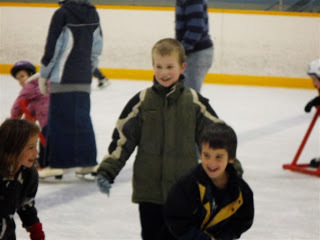 As time went on the lad learned to skate with just holding my hand. I have to admit, I LOVE skating with my lad. Even if he pulls me a bit off center (and I am NOT the world’s best skater). But we could skate together and …. He learned how to fall. and then how to get up. First one leg up, then the other. We started with using mom as an aid, but now he can do it all on his own. 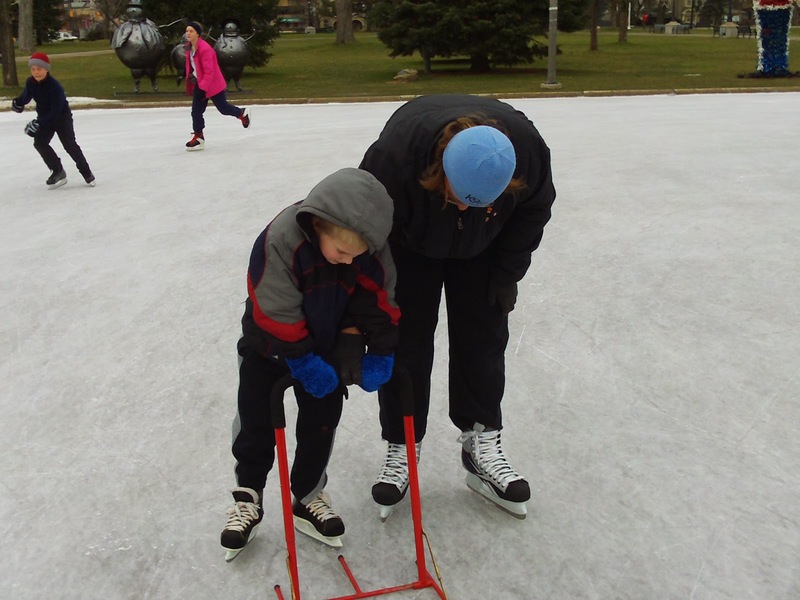 He skated, but he often complained, “can I stop now, do I have to do this mom? Skating isn’t fun, I don’t like it”. Do you see the happy grin? The lad no longer thinking…how long MUST I be on the ice. He now thinks.. do I HAVE to get off? 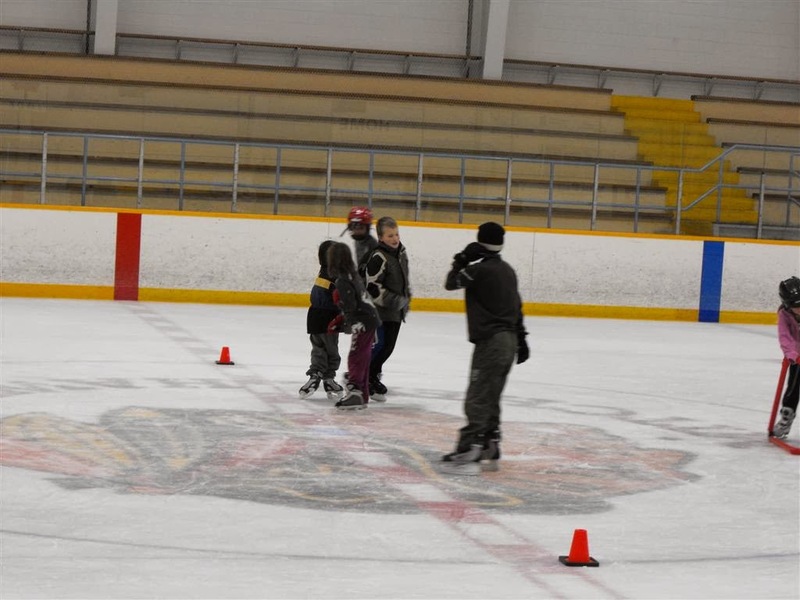 This is fun skating with friends. 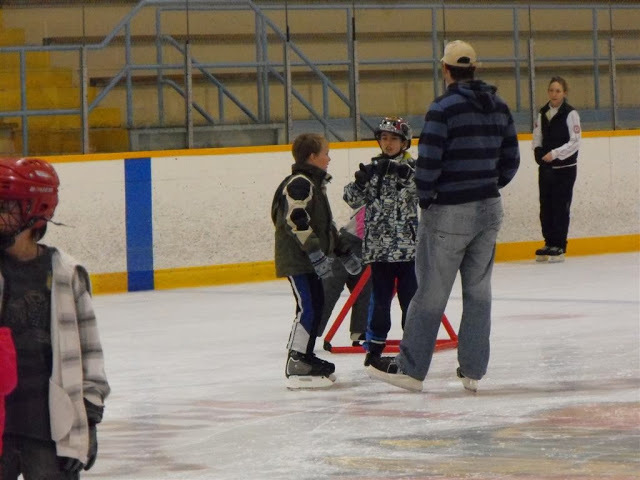 He can stop and talk with other parents and learning skating skills from them (for some reason he listens better to the Dad’s saying, hey.. if you do this it works better). I don’t understand it, but I’ll certainly take it! Play tag is so much fun, and it’s great to hear “Your boy is skating better Annette”. It is just so good to hear. He’s really seeing that skating IS fun and not just something your folks make you do. 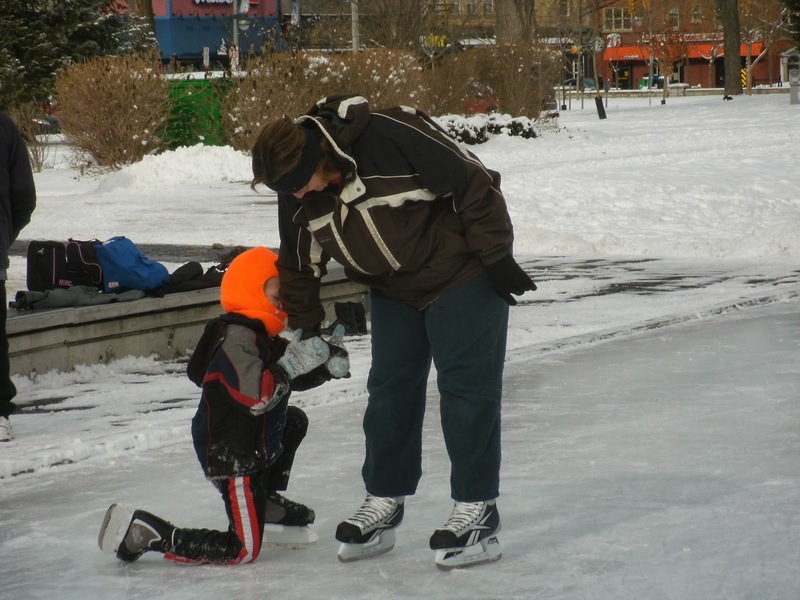 I keep wanting to skate on the Rideau Canal in Ottawa.